As we have mentioned numerous times, the power of smartphones is growing and with it the potential for mobile advertising is also increasing. 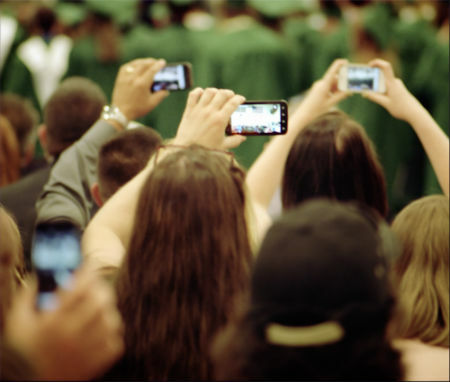 A recent report revealed that 47% of Western European residents use their mobile for entertainment services and a staggering 65% of smartphone owners now browse internet content on their device. One problem that faces mobile advertisers and brands with mobile sites, or the developers of these sites, is that the smartphone revolution has dramatically altered expectations and users demand the same seamless service that they receive on their desktop. This means that mobile SEO is more important than it has ever been and it is important to remember that defecting to a competitor on a mobile browser is just as easy as it is on a desktop computer! Apps are also responsible for this, as they have meant that users can update content instantly and just by connecting to a WiFi hotspot. Another bone of contention is how users pay for content on their mobile devices and Juniper Research pose the question of “how do the players’ monetise the content and services that can be delivered over the mobile network to handset and tablets?”. This is an excellent question and one that centres on the billing options available on Mobile devices. As opposed to listing those that are likely to be ineffective, lets simply take a look at the most effective mobile billing option. Carrier Billing, or billing that you are directly charged for on your mobile device, is without doubt the most effective payment method on mobile devices and those looking to monetise their content should take note. The reason for this is quite simply the convenience of it, as it allows payment without the time consuming task of entering card details. Subsequently this means that consumers have less time to consider their purchase and approach it less rationally, often purchasing instantly via the touch of a button. This means a higher conversion rate, as consumers make a higher number of impulse purchases. 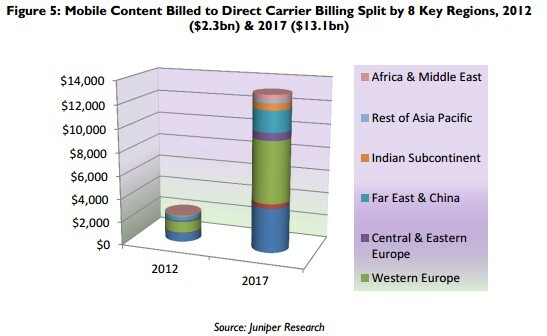 One final thought is that carrier billing also makes your offerings available to audiences without credit or debit cards, namely the youth demographic. These factors will all contribute to the rising expenditure via carrier billing and will also encourage more brands to monetise their content in this manner, hence why expenditure is expected to grow rapidly over the next 4 years.